Thanks to a Tweet from Tony Vincent I learned that Google announced the impending closure of the Goo.gl URL shortening service. It has been a good URL shortening tool for years, but not the most popular service because you couldn't customize your shortened URL. That's why I've always preferred to use Bitly.com to shorten URLs. If you find yourself looking for a new URL shortener, take a look at these options. TinyURL might be the most recognized name among URL shortening services. It has been around since 2002 and is used by millions of people. It's a simple and reliable service. Like Bitly, TinyURL lets you customize your shortened URL. Many of my Tweets contain links shortened by Ow.ly. That's because I use Hootsuite for a lot of my Twitter activity. Ow.ly used to be a stand-alone service. It is now included within free Hootsuite accounts. If you're primary use for shortened URLs is sharing on social media, then Ow.ly via Hootsuite is a good option. Otherwise, Bitly and TinyURL are quicker and easier to use. Flippity offers great Google Sheets templates that can be used for all kinds of things from random name selection to progress tracking to generating random story starters. Flippity's Mix & Match template can be used to create image-based and text-based random story starters. Watch my video that is embedded below to learn how to use Flippity's Mix & Match template. One of the things that I like about the Mix & Match template compared to other story starter templates is that you can give students as much or as little prompting as you like. For example, you can create a story starter that has an image prompt for just the introduction and conclusion thereby leaving students to come up with their own ideas for the body of the story. Or you could give them just a conclusion prompt in text form which would then make them responsible for generating their own ideas for the rest of the story. 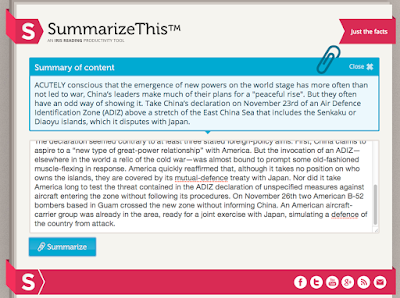 The story starter options are almost limitless when you use Flippity's Mix & Match template. Learn more ways to use Google Sheets in my online course, G Suite for Teachers. Good morning from Maine from where the wind is howling and the sun has not yet risen. Why am I up so early on a weekend? Because I have two little kids and this is the quietest time of the day. It's perfect for drinking coffee and writing things like this week's week-in-review post. 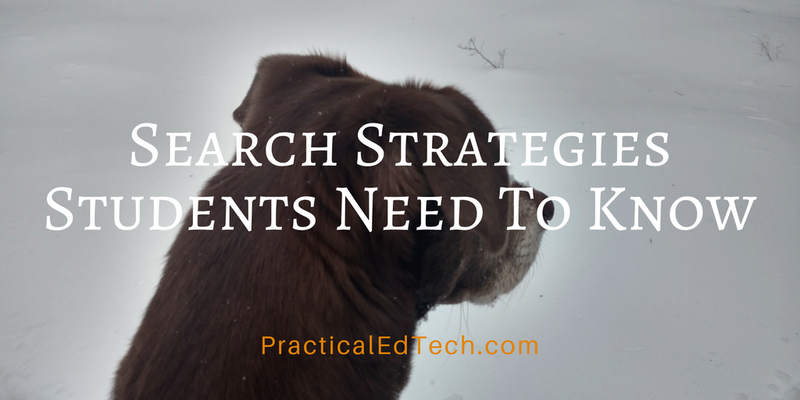 This week I hosted a Practical Ed Tech webinar all about search strategies for students. 60 of you attended and a few more have watched the recording that is now available here. This week Apple hosted a big event in Chicago to reveal some of their updated and new products. All of those announcements are summarized here. Take a look at the following list to see what else was popular on Free Technology for Teachers this week. On PracticalEdTech.com I offer on-demand professional development webinars and courses. There are significant discounts for groups who enroll in G Suite for Teachers or Teaching History With Technology. 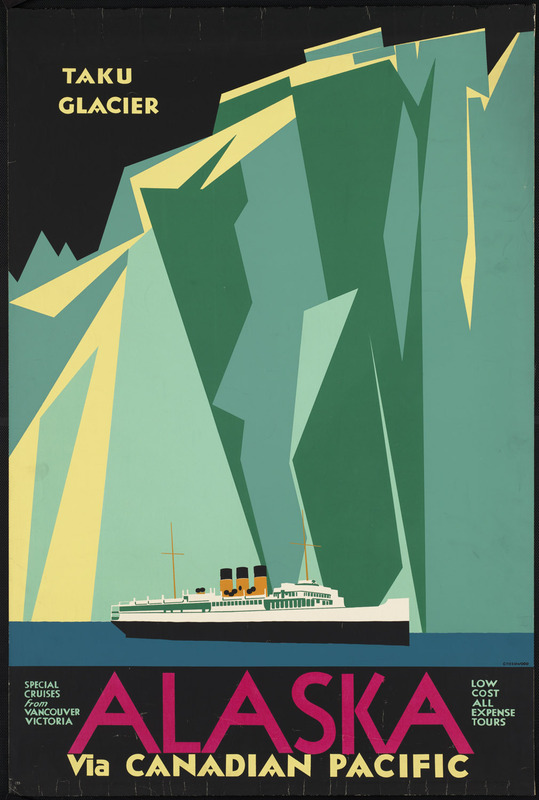 In my post about Seward's Folly I included the image of a vintage advertisement for an Alaskan cruise on Canadian Pacific. 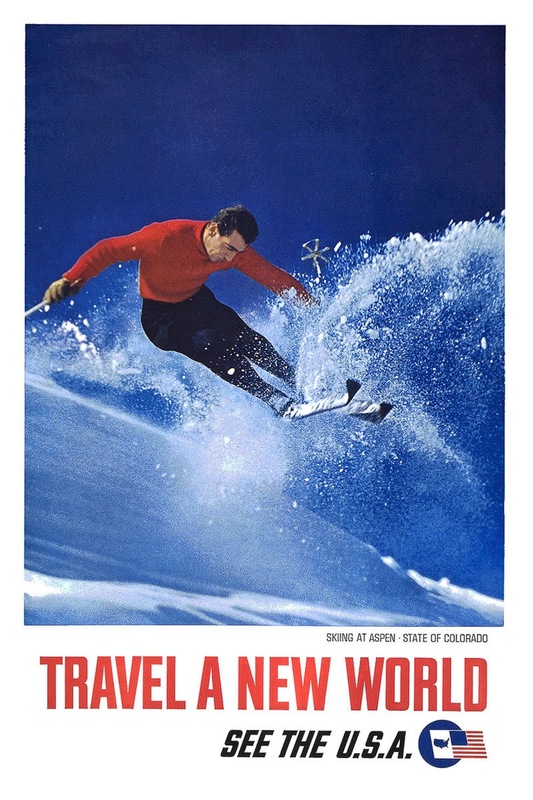 That poster came from the Boston Public Library's Flickr collection of vintage travel posters. Most of the images in that collection are either in the public domain or have a Creative Commons license allowing for re-use with attribution. Viintage (yes, two "i"s) is another source of vintage travel advertisements, posters, and postcards. Viintage features collections of vintage posters, postcards, and various printed advertisements that have been released into the public domain. Viintage hosts thousands images organized into dozens of categories like vintage travel posters, classic alphabet learning books, and vintage nursery rhymes images. The Travel Film Archive is a collection of hundreds of travel films recorded between 1900 and 1970. The films were originally recorded to promote various places around the world as tourist destinations. In the archives you will find films about US National Parks, cities across the globe, and cultural events from around the world. The videos are available on The Travel Film Archive website and on YouTube. Some of theses travel posters and films could be good for students to use in presentations about the history and or appeal of various places around the world. Many of the posters could be used as part of a lesson on advertising methods (endorsement, appeal to emotions, etc) as well as lessons on the evolution of graphic designs. Thanks to this Tweet from the Library of Congress I was reminded that today in 1867 was the day that the United States purchased Alaska from Russia. At the time it was referred to as Seward's Folly. 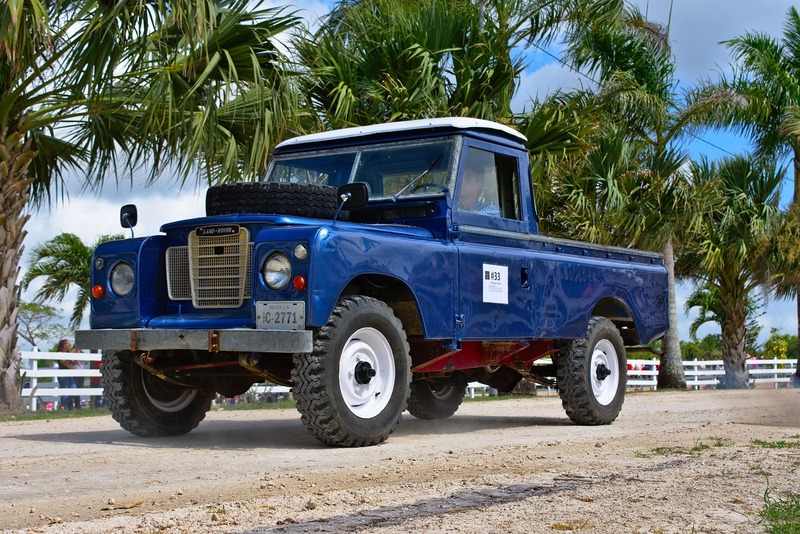 The discovery of gold thirty years later changed that perception. The Library of Congress offers a free lesson plan that asks high school students to evaluate primary sources from the American and Russian perspectives in 1867. The lesson plan includes links to suggested primary sources. Students who need some guidance evaluating the primary sources included in the lesson plan will be aided by the LOC's Primary Source Analysis template. After they evaluate the primary sources, students have to use evidence to make an argument for or against the purchase. To extend the lesson plan offered by the Library of Congress, ask your students to evaluate whether or not a transaction like Seward's Folly would be possible today. Image credit: Alaska via Canadian Pacific. Taku Glacier. Boston Public Library, Print Department. 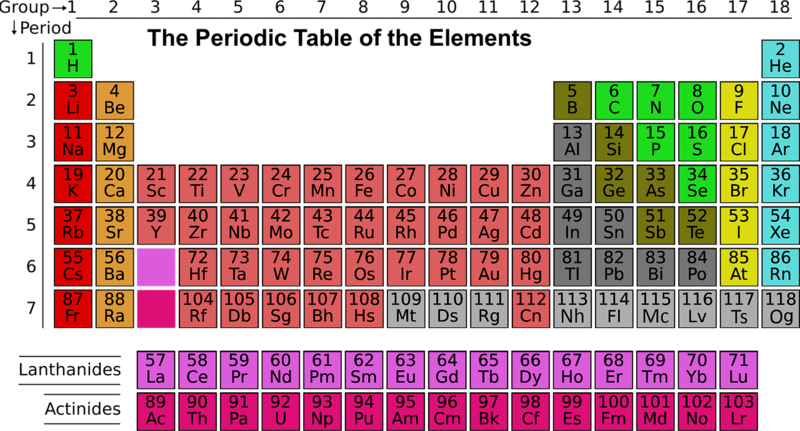 On Tuesday morning I shared a collection of seven good resources to help students learn the Periodic Table of Elements. The next day Open Culture shared this periodic table visualization that shows the country and year in which each element was discovered. (If you cannot see the image it is because your network is blocking imgur which hosts the image). The visualization is based on this Wikipedia hosted Timeline of Chemical Element Discoveries. You want to double-check the accuracy or have students look for points of contention surrounding some of the claims. Yesterday 60 people joined my live presentation of my Practical Ed Tech webinar titled Ten Search Strategies Students Need To Know. More than a few of you have inquired about accessing the recording. It is now possible to access the recordings and handouts through this registration page. Access the webinar recording and handouts through this registration page. If you're wondering why I charge for the Practical Ed Tech webinars, please watch this short video. Earlier today on Twitter I posted a question about notebooks. Specifically, I wanted to know who still uses physical notebooks and, if so, if there is a preference for lined or unlined paper. By the way, I use a notebook with unlined paper and I draw with a Uniball Signo 207. One of the many responses to my Tweet came from Dr. Tom Grissom. 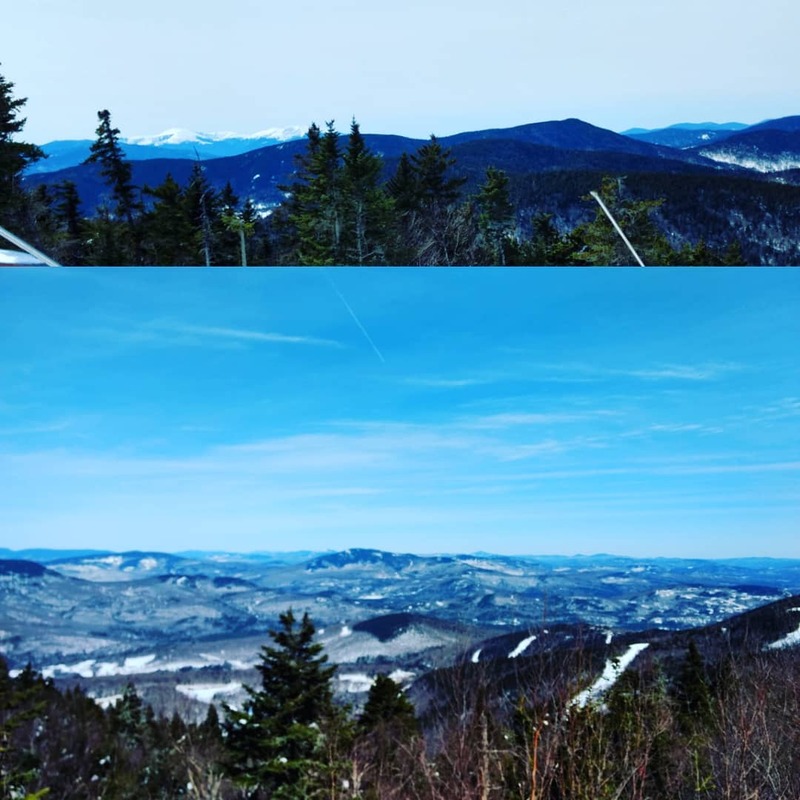 I've followed Tom's work for almost as long as I've been writing this blog. He replied with a link to his video in which he introduces viewers to the concepts of notestreaming. In the video he demonstrates how he uses OneNote, Microsoft Forms, and OBS Recorder to create notestreams. It's a great concept that, when applied correctly, could be very helpful in providing students with video content to supplement course instruction. Watch Tom's video as embedded below or jump to his OneNote notebook of resources which includes this introductory video. When it comes to producing clear explanations of tricky topics, no one is better than Lee and Sachi LeFever at Common Craft. Their videos, featuring paper cutouts and flat white backgrounds, have helped millions of people understand topics like RSS, copyright, cyberbullying, and much more. In fact, their style has come to be known as "the Common Craft style" and has been used by teachers and students to create videos of their own. On April 11th Lee and Sachi are hosting a free webinar titled How We Produce Common Craft Videos. In the webinar you'll see how they make videos from start to finish. There will be opportunity for Q&A with Lee too. They hosted a similar webinar last summer and it was excellent. I'll be joining this webinar and you should too. Click here to register for How We Produce Common Craft Videos. If you're not sure what a Common Craft video looks like, watch this one embedded below. Years ago I published a slideshow that demonstrated how to create a quiz in Google Forms. Even though that slideshow is now outdated, I still get requests for copies of it. To replace that slideshow I made the following video that demonstrates how to create a quiz in the current version of Google Forms. Take my online course to learn everything you need to know to feel comfortable using Google Forms and all parts of G Suite for Education in your classroom. Thanks to Anthony St. Jean last night I learned that Pixabay hosts public domain videos that you can download for free. It's an option that is right on the front page of Pixabay and I've just overlooked it. To find public domain videos on Pixabay just select the "video" option from the menu on the homepage. 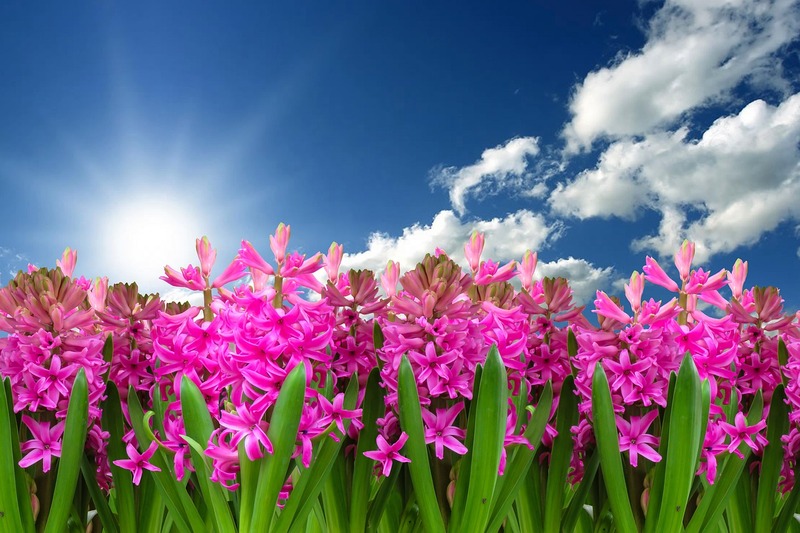 The videos that you find through Pixabay can be downloaded as MP4 files in standard or high resolution. On a related note, visit Dig CC Mixter if you need music for a video project. And take a look at these options for free images to use in your multimedia projects. Does it enable students to do things they couldn't do before? Is this the best option for my students? I'm thinking about those questions today and I'll publish my thoughts a bit later. Google is the default search engine for many students. In fact, if your students have Chromebooks and the school has set Google as the default search engine, they may not even realize that there are search engines other than Google. Here are three search tools that students often overlook. Sure this seems obvious and possibly redundant to Google, it's not. Search the same terms on both Bing and Google and you'll find some overlap, particularly on the first page of results, but as you dive deeper you'll find different results. You can compare Bing and Google results on the same page right here. Google Scholar serves results that are quite different than what you'll find on Google.com or Bing.com. Google Scholar is focused on academic articles rather than commercial results. Many of the results will lead to databases that require a subscription for access. The good news is that your school library or community library may have a subscription that will grant you access to those databases. As mentioned above, your school library or community library probably has a subscription to one or more databases that you couldn't otherwise access. Talk your librarian about which databases are available to you and your students. Learn more about search strategies students need to know in tomorrow's Practical Ed Tech webinar Ten Search Strategies Students Need To Know. Story Dice is the name of two different, but similar apps that can be used to generate creative writing prompts. Story Dice for Android is made by a different developer than the app with the same name for iPads. Story Dice for Android displays nine dice in a grid. Tap the dice to roll them and get a set of pictures to use as story prompts. The thing that I like about both of these apps is that you can use them in almost any classroom in which students need a little inspiration for writing a fiction story. Because the prompts are image-based, you don't have to worry about students not knowing the definition of a word and therefore not getting the benefit of the story prompt. Whether it's a simple question or a complex research task, the first thing students do is turn to Google for help. They might type a query into a Google search or, increasingly, they'll speak their query into Google Assistant, Alexa, or Siri. That practice in itself can be a mistake. Here are three other mistakes that students often make when conducting research online. 1. Not asking the most qualified person for help! Your school probably employs a teacher-librarian. He or she is there to help students utilize many different research techniques and many different databases. In many cases your school has access to materials and databases that cannot be accessed through just a generic Google search. So encourage your students to ask the teacher-librarian for help. 2. Not thinking about how other people think. It is easy for students to fall into the trap of thinking about a topic in only the way that they describe it or how you've described it to them. Students should take some time to think about the similar words and phrases that other people might use to describe a topic. 3. Only looking on web pages or not opening files. Google, Bing, and other commercial search engines tend to serve up HTML webpages as the first results. Occasionally, you'll find a PDF or Word document mixed in there too. If they never search for specific file types, students are potentially missing out on some great information. For example, if the topic is related to geography or geology, they might find a lot of value in refining the search to return only KML and KMZ files. 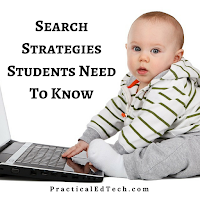 To learn more about search strategies that students should employ, join me on Thursday for a Practical Ed Tech webinar called Ten Search Strategies Students Need To Know. Ethos3 is a presentation design company that has worked with some of the biggest name brands in the world. The Ethos3 Slideshare channel is a good place to get some inspiration and tips for designing your own slideshows. One of those slideshows is Wake Up Brain! In the slideshow you'll find five warm-up activities that can be done at the start of almost any brainstorming session. Whether you're brainstorming with colleagues to craft a new mission statement for your school or you're brainstorming creative story ideas with your middle school students, the warm-up activities in this slideshow can help you get the ball rolling. Can't see the video or don't want to watch it? Here's the one sentence summary, Chrome OS tablets and cheaper iPads are worthless unless your school invests time and money in professional development. This TED-Ed Lesson Is Full of ...! 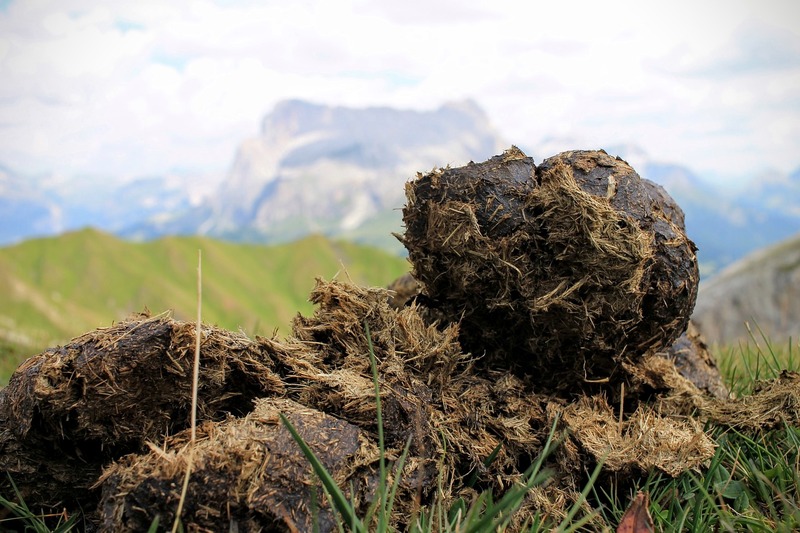 Why Isn't the World Covered In Poop? is the latest video lesson published by TED-Ed. With a title like that, how could you not be curious enough to spend five minutes watching the video? And that's exactly what I just did. Why Isn't the World Covered In Poop? is really a lesson about dung beetles and the role that they play in the ecosystem. In the lesson students learn how many types of dung beetles exist in the world, where they exist, and how dung beetles help reduce greenhouse gasses. And as a bonus, you can pick up a cheesy middle school-appropriate joke from watching the video. This TED-Ed lesson reminded me of one the most-pinned resources ever featured on FreeTech4Teachers.com. Who Pooped? is an interactive site in which students learn about various animals by guessing which animal created which pile of poop. 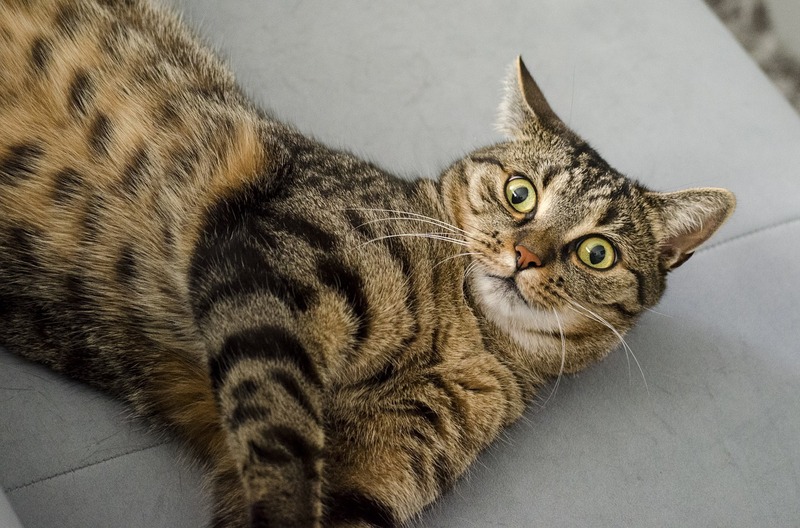 Believe it or not, there is actually some good information about the animals that follows each round of guessing who created which poop. Cows are one of the that animals you can learn about on Who Pooped? (give the site some time to load in order to view all features). As I shared in a post earlier this month, downloading videos from YouTube via a third party tool is a violation of YouTube's terms of service (TOS). Despite that fact there are many teachers who do attempt to use third party tools to download YouTube videos. One of the most popular of those tools, KeepVid recently changed its tune. KeepVid no longer supports downloading videos from YouTube, Vimeo or other video sharing sites where the terms of service don't allow it. A visit to KeepVid today will just give you a bunch of information about why you shouldn't download videos illegally. The new information on the KeepVid homepage strikes me as being hastily thrown together to comply with a legal request. But that's purely my speculation based on many years of filing DMCA take-down notices and dealing with the legalese of an online business. If you'd like to learn more about copyright issues as they relate to classrooms, watch this free webinar that Beth Holland and I hosted late last year. H/T to Make Use Of for the update on KeepVid. 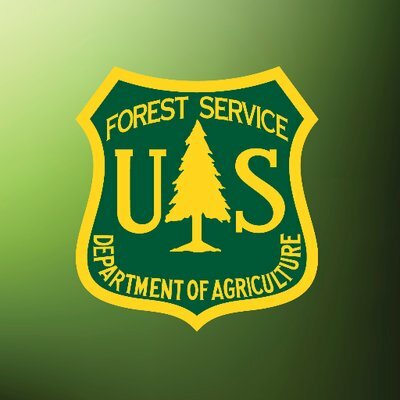 FireWorks is an educational program, sponsored in part by the U.S. Forest Service, designed to teach students about the science of wildfires. This morning I received an email about a free two day professional development workshop centered around the FireWorks educational curriculum. The hands-on workshop is in Missoula, Montana this June. It appears to be open to anyone who is interested in using the FireWorks curriculum. You should note that the FireWorks curriculum is region-specific. The material is focused on on the Northern Rocky, Northern Cascades, and Sierra Nevada regions. 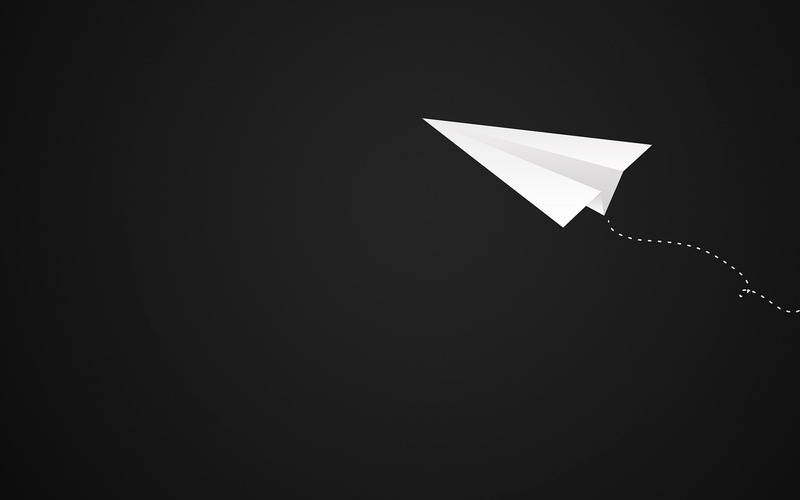 Making and Understanding Paper Planes is a short video that was produced by students for Next Vista's Creative Flight video contest. Like a lot of the videos hosted on Next Vista, this video is a good example of students producing a video to teach a short lesson. In the video the students demonstrate how to make a good paper airplane. They also explain the basic physics of paper airplane flight. Next Vista is one of the places that I recommend publishing videos that students make in your classroom. 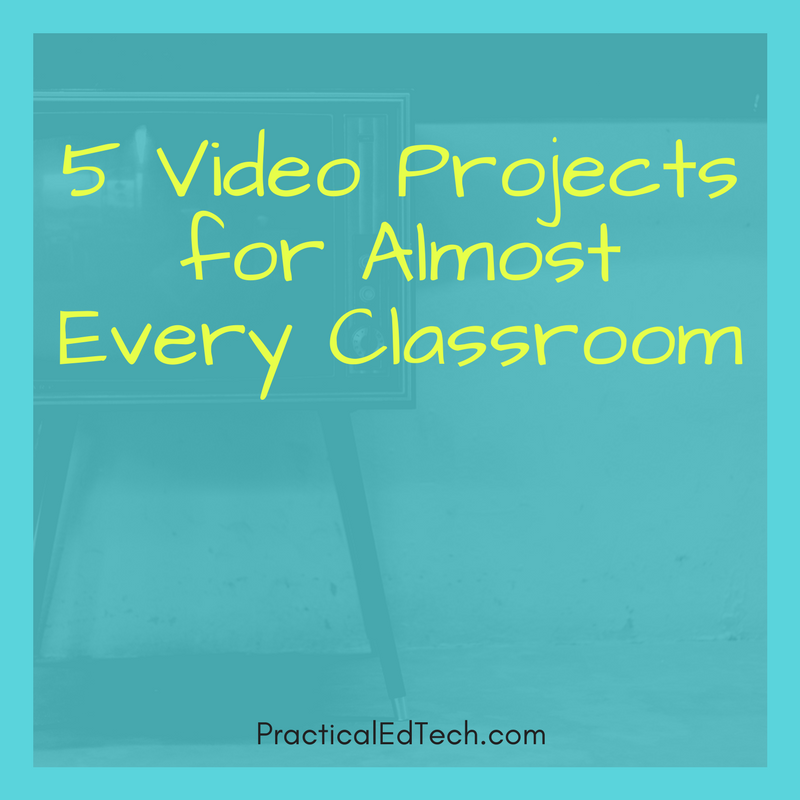 If you're interested in learning more about classroom video projects, check out 5 Video Projects for Almost Every Classroom. This morning while my daughter was napping I went down the rabbit hole of YouTube related videos. It started out as a simple search for some new cycling workout videos and ended up with this TED-Ed lesson about carbohydrates. 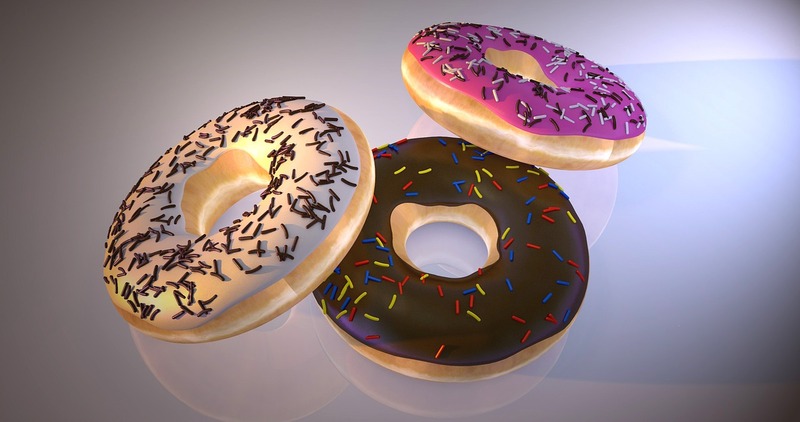 That lesson goes nicely with some other TED-Ed lessons that I have bookmarked about how the foods we eat affect our bodies. 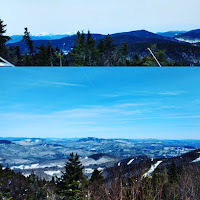 Good morning from Maine where spring is in the air and lots of snow is still on the ground. 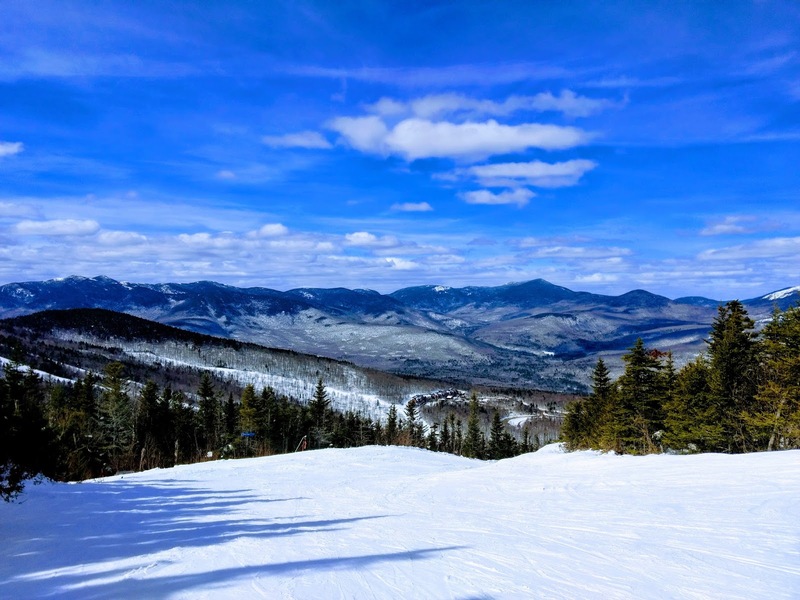 Some of my favorite days of the year happen now when there's still snow on the ground but it's warm enough during the day to have fun in the sun. 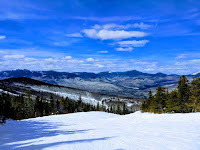 In fact, that's what I did yesterday afternoon when I snapped this picture at Sunday River and tagged it #happyplacefound. And when my youngest daughter wakes up from her nap we'll go for a walk to see how the woods are starting to come alive with signs of spring. Wherever you are this weekend, I hope that you get some refreshing time outside too. 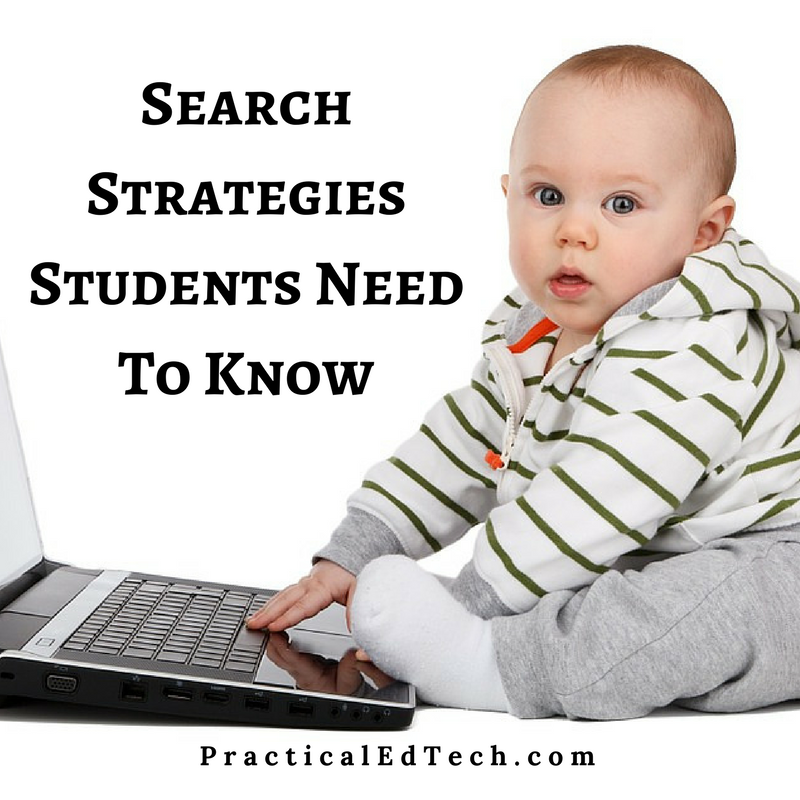 Next week I'm hosting a Practical Ed Tech webinar titled 10 Search Strategies Students Need To Know. I offered this webinar three times last year and it sold out every time. Click here to learn more and register today. PracticalEdTech.com is where I offer on-demand professional development courses and webinars. The sale of those courses and webinars helps to keep Free Technology for Teachers running. My popular Teaching History With Technology Course is on sale right now! YouTube and Facebook are filled with people publishing selfie videos that were recorded while driving. I don't know why this type of video is popular. I do know that every time I see one I think about how dangerous that is. Tom Scott visited the University of Iowa's National Advanced Driving Simulator to find out how dangerous it is to talk to a camera while driving. Watch his video to find out what happens when you record a selfie video while driving. Please share this video with the teenage drivers in your life. If nothing else, show them the last minute of the video. On a related note, Gauging Your Distraction is an excellent online game that show students how difficult it is to navigate traffic while reading and replying to text messages. 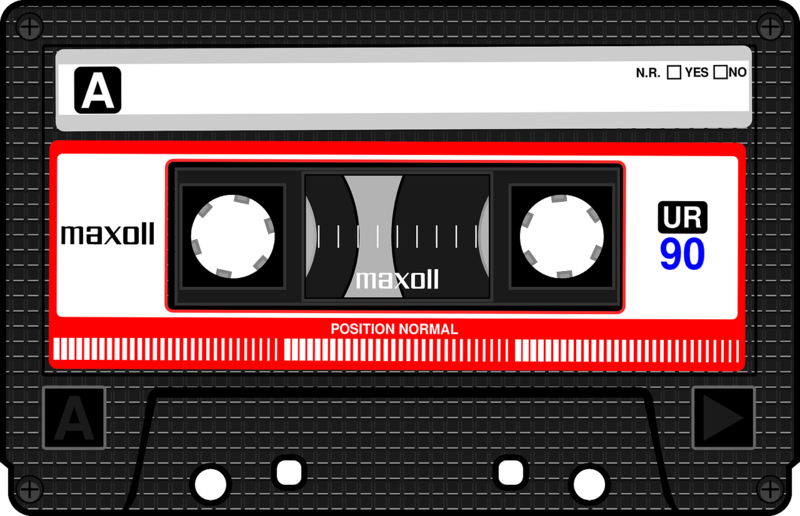 Over the last couple weeks I've published a series of posts featuring free sources of audio files that you can download for re-use in your multimedia projects. In the following video I provide an overview of three places to find free audio files. In the video I show how to find files on each of the services. I also included a demonstration on how to keep track of the attribution information that you need to publish when you re-use the files. This week Kahoot announced an integration with the Remind messaging service. 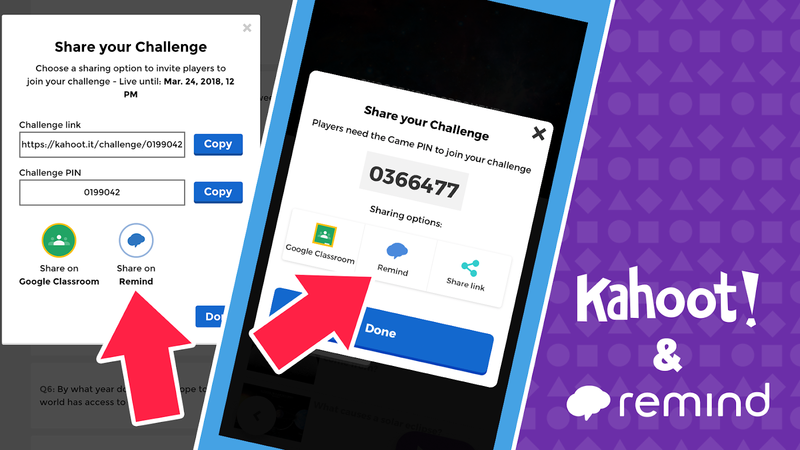 This integration lets you send your Kahoot Challenges (games for students to play at home) to your students and their parents through the Remind messaging service. In the following video I demonstrate how to send your Kahoot Challenges through the Remind messaging service. Skype Interviews is a free Microsoft service that was developed for employers to use to interview potential employees. It was specifically designed with coders and programmers in mind as there is a code editor component that lets candidates display their skills in realtime. Yesterday, Microsoft added a whiteboard to Skype Interviews. The whiteboard in Skype Interviews allows you to draw on and share a virtual whiteboard while in your call. You can also type on the whiteboard. A few pre-made shapes are also available to add to your whiteboard to create a flowchart. Skype Interviews was obviously designed for use in a business setting, but it is open to anyone who wants to use it (you do need a Skype account). I could see it being a great option for remote tutoring. To clarify, Skype Interviews is a different product than the Skype you may be familiar with. Skype Interviews launches in your Chrome or Edge web browser. You have to give people a link to join your call as opposed to calling you directly via Skype contacts. The other person or people joining your Skype Interview call don't need to have Skype accounts because they can just click the link that you send to them and then sign-in as a guest. Next week I am hosting a Practical Ed Tech webinar that will help you help your students become better web researchers. In Ten Search Strategies Students Need To Know you will learn why informational searches are the hardest types of Internet searches for students to conduct. You will learn how to help students break-down complex search topics into manageable pieces and then put the whole picture together. You’ll learn how to help your students save students tons of time by thinking before searching. And you’ll learn how to develop instructional search challenge activities to use with students of any age. Thursday, March 29th at 4pm Eastern Time. The webinar will be recorded for those who register but cannot attend the live session. Your $20 registration includes the live webinar, unlimited access to the recording, handouts, and a PD certificate. This webinar sold out every time it was offered last year! An online, collaborative, whiteboard can be a great tool for hosting a quick review session for your students. Your students can also use these tools to conduct online study sessions with each other. Yes, this could be done with something like Skype, but having a built-in whiteboard is particularly useful when having a review session on a topic in math or science. Here are five free online whiteboard tools to try. Know Lounge is a free platform that will let you create a live broadcast from your laptop. Know Lounge includes a whiteboard that you can draw on and share with your audience. Students can ask you question by writing them into a chat box. Additionally, you can allow students to use their webcams to ask you questions during your broadcast. Update 2/9/2019: This tool is no longer online. Scratchwork is an online whiteboard and video conferencing tool designed with math students in mind. The platform works like many similar services as it provides you with a whiteboard on which you can draw, type, and import images to annotate. Scratchwork is a little different than other services because it includes a Latex editor for writing equations. Scratchwork also offers an option to draw on a tablet and import those drawings. The collaboration aspect of Scratchwork comes into the picture when you activate the video conferencing component built into Scratchwork. Scratchwork's free plan has a limit of four boards and three collaborators. Last fall Kahoot released a new feature called "Challenges" that are review games your students can play at home or anytime they are outside of your classroom. That feature has proven to be popular. Today, Kahoot announced a new integration with Remind that will make it easier than ever to send Kahoot Challenges to your students and their parents. Now when you create Kahoot Challenge you can distribute it through Remind. The Remind option is in addition to the existing Google Classroom distribution option. Watch the following video to learn how to distribute a Kahoot Challenge through Remind. Quizalize is one of my favorite services for creating and running review games for your students to play in your classroom or at home. Now they want students to get in on the game design fun. For the next five weeks Quizalize is accepting submissions to their Design-A-Game competition. The Design-A-Game competition asks students to draw and write a description of a team review game to play on the Quizalize platform. Students don't have to actually build the game, they just need to create a drawing and write a description of how they envision the game to be played. Winners will be chosen from states and countries around the world. Winners will receive $200 cash for themselves and $250 for their schools. Winners of the first round move on to the final judging round where an overall winner will be selected. The overall winner will have his or her design turned into an actual game on the Quizalize platform. View the complete entry requirements here. Notion is an interesting service that combines elements of project management with elements of a wiki service. At its core Notion is designed for teams to work on projects together. You can create sections for each of your projects. Within each section you can create a list of tasks. Notion also lets you add sections that include links, videos, images, and documents that you have written outside of the service. Of course, you can write directly on a page in your Notion account too. You can register for Notion with a Google account or you can create an account by using any email address and password of your choosing. Notion works in your web browser as well as in dedicated desktop apps for Windows and Mac. An iOS app is available too. Once you've created an account you can invite people to join your Notion page(s). Notion's free plan limits you to 600 "blocks." A block is defined as a piece of content that you add to your account. Notion could be a good tool for high school or college students who are working together on long-term projects. 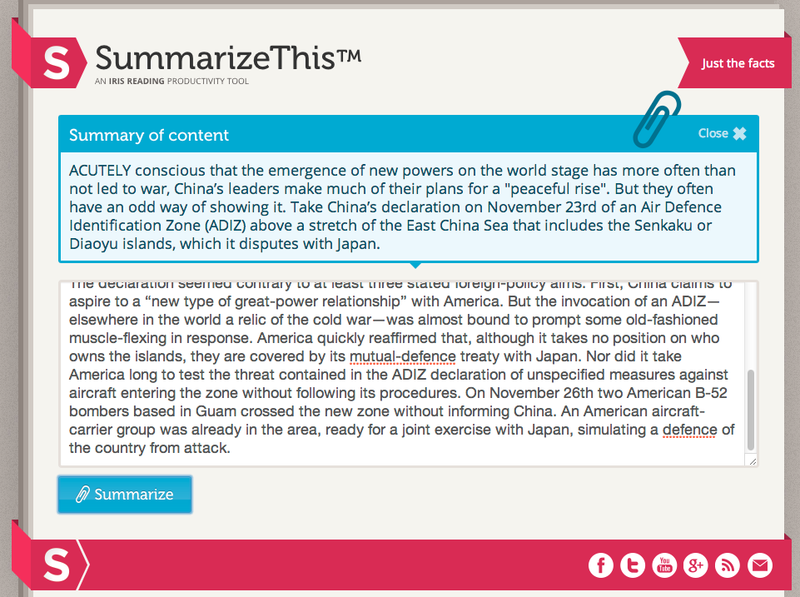 Students could build reference pages together that they then consult in writing a paper or preparing a presentation. The task lists component of Notion could help divided and keep track of the responsibilities of each group member. Scratchwork is a new online whiteboard and video conferencing tool designed with math students in mind. The platform works like many similar services as it provides you with a whiteboard on which you can draw, type, and import images to annotate. Scratchwork is a little different than other services because it includes a Latex editor for writing equations. Scratchwork also offers an option to draw on a tablet and import those drawings. The collaboration aspect of Scratchwork comes into the picture when you activate the video conferencing component built into Scratchwork. Scratchwork's free plan has a limit of four boards and three collaborators. Scratchwork is advertised as a tool for math students and teachers. It could be used for science or any other subject in which drawing a diagram is an important part of instruction. Draw Chat is a free service that allows anyone to create a video chat over a whiteboard, PDF, image, or map. 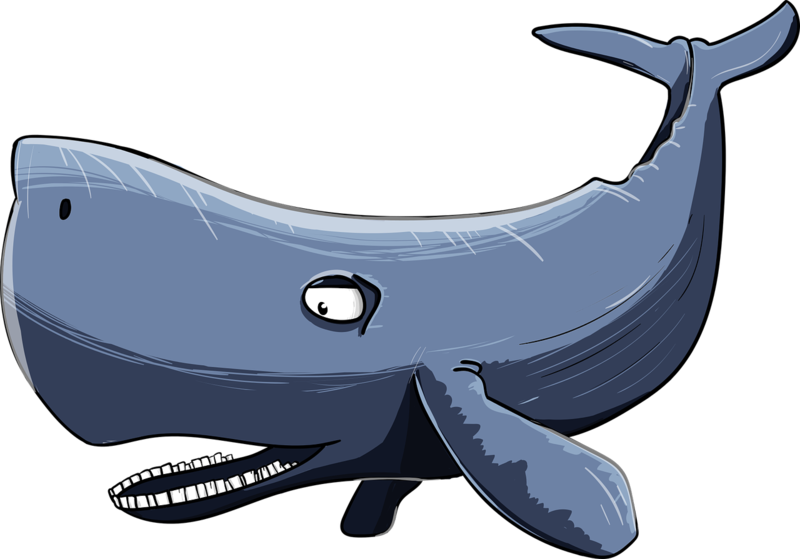 To use Draw Chat you just have to visit the site and click "Start New Whiteboard." Once your whiteboard launches you will have the option to enable access to your webcam and microphone. You can have people join your whiteboard video conference by sending them the link assigned to your whiteboard. Draw Chat allows you to draw or type on a shared whiteboard. Additionally, you can upload a PDF or an image to annotate on the whiteboard. A fourth option for drawing on Draw Chat is to import the URL for a Google Map and draw on that map. Draw Chat could be a good service for students to use for remote tutoring. It could also be useful to students to have remote meetings to plan a presentation or edit a project outline. One of the odd things about Draw Chat is that you're randomly assigned a username in the video and text chat rather than getting to choose something obvious like "Richard." Those randomly assigned usernames could be a source of confusion unless you use the video conferencing aspect of Draw Chat. ZapSplat does require you to create an account in order to download the MP3 and WAV files that it hosts. Once you have created an account you can download as many files as you like. ZapSplat does offer a "Gold" account. The benefit of a Gold account is that you don't have to cite ZapSplat and access to an expanded library of sounds. ZapSplat could be a good resource to bookmark for the next time your students need a sound effect to use in a video or podcast. On ZapSplat they'll find typical sounds like a doorbell ringing and a dog barking. ZapSplat also provides some unique sound effects and recordings like a pilot speaking to passengers and alien creatures eating. ABCya! is best known for its huge collection of educational games like these typing games. This evening I went directly to ABCya's homepage where I noticed that they now offer a collection of how-to videos. ABCya's video page includes twenty-four instructional videos that teach you how to complete fun craft projects like making slime, creating origami unicorns, and making finger puppets. The videos are only available on the ABCya! website and not available to embed into other sites or blogs. I'd consider using the finger puppets how-to video to help students make puppets to use in puppet show about a topic in social studies lesson. For example, years ago I had some students make a puppet show about the concept of puppet governments. ABCya's craft how-to videos could be useful to teachers of after-school programs who are looking for some hands-on projects to do with elementary school students. 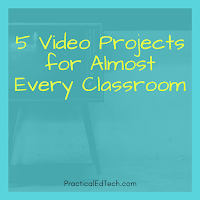 Last week over on PracticalEdTech.com I hosted a webinar titled 5 Video Projects for Almost Every Classroom. Nearly 100 teachers joined that live webinar. If you missed it, the recording of the webinar and all of the associated handouts are now available on-demand. Register to access the recording today and your access to the recording never expires so that you can go back and review it whenever you like as often as you like. For the rest of this week my popular Teaching History With Technology course is on sale for $20 off. I recently redesigned the format of the course to make it possible for you to complete the course as quickly or slowly as you like. Each lesson includes tutorial videos, handouts, and suggested classroom activities. A professional development certificate is available to those who complete the course. Click here to get started. When I was in Kindergarten we grew marigolds in Styrofoam cups and took them home in spring (probably for Mother's Day, but my mother will have to confirm that detail). I was reminded of that little project when I watched a new SciShow Kids video. Earlier today SciShow Kids published a video titled Grow Your Own Potatoes. 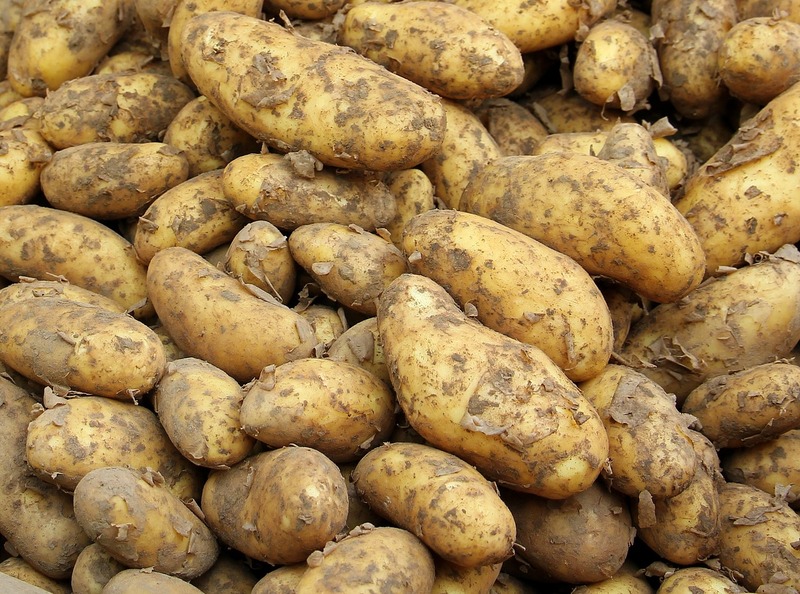 The video explains what potatoes are and how they grow. And, as the title implies, the video provides directions for growing potatoes in a classroom or at home. Dig CC Mixter is one of the resources that I recommend in my on-demand webinar 5 Video Projects for Almost Every Classroom.